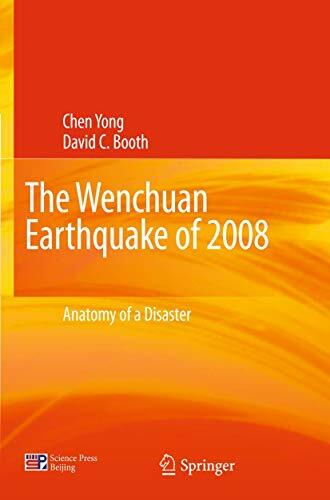 "The Wenchuan Earthquake of 2008: Anatomy of a Disaster" gives a detailed account of the damage, seismology and tectonics of the event and discusses earthquake prediction, seismic hazard and risk management, the creation and implementation of building codes, and new practices used in rescue, relief and reconstruction. It will be of significant interest to researchers and practitioners engaged in seismology, geophysics, engineering, the social sciences, and disaster management and recovery. It also offers a valuable new and unique Chinese perspective with many insights for future mitigation of earthquake risk. Professor Yong Chen works for the China Earthquake Administration; Dr David C. Booth works for the British Geological Survey. Chen, Yong/ Booth, David C.